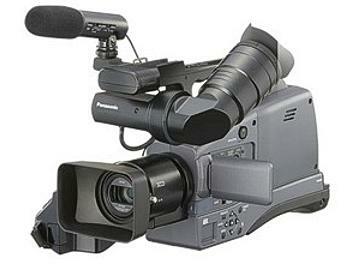 The AG-HMC72 is a low-cost on-shoulder HD memory card camcorder. Its high-quality HD lens, 3CCD camera system, XLR audio inputs, BNC terminals and stable shoulder-held style enable top-quality HD recording for professional applications. Being my first online purchase i was a bit hesitant in transferring funds for goods unseen. But GMP order system let me keep track all the way till delivery. I will continue to buy from GMP in the future ..
these for weddings and the quality and performance way exceeds the price. Globalmediapro=Very good service. fast and prompt. don't need to stuff a tape in the side of the camera to record an image. TVC's, etc). I love it!!! !